Warm weather invites pet owners to take their dog(s) for walks on the beautiful trails in Morgantown, W. Va. but those who disregard leash laws ruin it for the rest of us. Dogs off leash can not only be a nuisance to other pet owners but can also become a liability. “How can my dog be a liability? They come when I recall,” is just one of the frequent excuses another pet owner may give you. And to top off your frustration, the owner visibly is holding a coiled up leash in their hand; yet, the dog isn’t on the leash. In the well-written article Should I Leash My Dog by Jessica Dolce, it specifically addresses why leashes are important when walking your dog. For one, if it is a law then you should abide by the law. Dolce put it simply by comparing leash laws to stoplights. You have to stop when the light turns red, thus running a red light can result in accidents that may cause harm to yourself and others. Dolce said, “Leash laws exist to keep all of us safe, including our dogs. They help create public spaces that are safe and welcoming to everyone, including the elderly, children, and the disabled.” The post received a total of 58 comments from other pet owners — the majority agreeing with Dolce’s standpoint. If you’re still questioning when it’s appropriate to leash your dog, Dolce shared an amazing infographic created by Jenny Williams that should help you make the right choice. 505.1(b) No person being the owner of or having charge of any dog shall permit it to run at large upon any public place or upon the premises of another. Dogs not confined on the owner’s property shall be maintained on a leash of a length no longer than six feet. The name and address of the owner and the City tax tag shall be attached to the collars of dogs at all times. A dog that bit me & 12 people in parking lot was put down. I've been 😭. Owners refused 2 promise 2 obey #leashlaw for her. Dog xd highways! Take note of the last tweet posted by Pamela Easton. Easton tweeted a story that Dolce posted to her blog notes from a dog walker: stories from the sidewalk on January 4, 2012. While the story may be from a few years ago, it’s a heartwrenching tale that emphasizes the importance of a leash. Have you ever been approached by an unleashed dog? If so, what happened? How did you react? Was the other pet owner able to regain control of their dog? Where do you typically walk your dogs in Morgantown, and do you avoid particular trails for this reason? When other dog owners have their dogs unleashed it makes my life very difficult. My oldest 60 lb male dog is temperamental and has a history of aggression with certain dogs. I always keep my boys leashed whether we are out on public trails or in our front yard. There have been several times when people have let their dogs outside to use the bathroom but refused to have their dogs leashed. Then their dogs come running up to mine, resulting in a dog fight that I’m left to break apart. Now that I’m in my second trimester of pregnancy, walking two dogs on my own — dog owners neglecting to keep their dogs leashed — can be especially tricky and sometimes put me in a dangerous situation. Omega was once attacked by another dog. It was Easter Sunday a couple of years ago, and we were out of town, so a colleague was watching her at his house. He had her on the leash and was walking her to his car on his property to go to the park, and a neighbor’s dog, who was let out alone, left his property and attacked her. She was bleeding, so my colleague took her to the emergency vet, who gave her painkillers and antibiotics. My poor colleague sat at the vet for more than two hours with her, and it cost us around $150. We tried contacting the dog’s owner, who never responded to our calls and who even “returned to sender” the letter we sent to his house. Other than that incident (which was traumatic, and now Omega does sometimes display leash reactivity when around other dogs, and I’ve had to work with her on that issue), we have not had any other incidents. I typically walk Omega on the rail trails and try to find areas that aren’t heavily populated just to avoid any potential problems. I’ve had unleashed dogs approach me while walking my dogs which are always on a leash. In each case, the owner attempts calling the dog back to them but fails. In one situation I was able to yell at the dog and startle it enough to break the concentration that it had on my dogs, which lead to the dog retreating to its owner. However, in another situation, I was unable to break the dog’s concentration which then led to a dog fight. In defense for myself and my dog, I began yelling while trying to keep myself between the two dogs until the owner was able to physically restrain his dog again. When you walk your dog on a leash everything is being perceived/communicated through that leash. A dog can sense when you’re nervous, scared, or relaxed by the tension and your reactivity by how you control their leash. A dog’s reactivity can vary drastically depending on the dog and the stimulus that triggers the reaction. A reaction on the dogs part can be an act of aggression, fear, anxiety, or anxiousness. You have to be able to pinpoint the trigger to resolve a reaction on the leash. Each dog has a different threshold (the distance in which they can tolerate a stimulus). A dog may also exasperate an on leash reaction if they sense you are nervous or fearful. For example, if your passing a dog that starts barking at your dog, and you know your dog is nervous and will most likely bark, but your dog has stayed quiet and then you yank on the leash and your dog starts pulling and barking back, it’s because you most likely caused that reaction due to the fact that you applied pressure to the leash without the proper cause. If you had continued to pass without interfering with the good behavior you may not have created a negative situation. It’s important not to react until your dog reacts to correct a behavior, otherwise, you could be causing the reaction by pulling on the leash. If I know I have an aggressive dog, I will avoid dog parks and narrow hiking trail to minimize a negative situation. If I have a friendly dog, I tend to evaluate each dog’s (mine, as well as others, approaching) body language/behavior to make sure any interaction will be positive. If I’m uncomfortable with any situation I remove my dogs. The best way to remove yourself from a situation or keep your dog is to speak up! The average dog running towards you off leash will cower if you yell directly at them with an aggressive stance. If you can see the owner and the dog in the distance, don’t be afraid to yell something like, “Hey can you leash your dog so I can pass please,” or “Hey I have my dogs with me, there not dog-friendly?” Be loud make your presence known. Carry a whistle if you’re hiking or on the trails, this can also be enough to startle a dog from approaching. If the whistle doesn’t deter the dog it will at least alert other people that my look your way should you need help in the event of a dog fight. The hardest part of using your voice to yell at a dog that is running towards you is overcoming the body’s natural flight or fight mode. The difference between a dog park and anywhere else is simple. When you enter a dog park you relinquish the right to take legal action or for there to be consequences if you or your dog are attacked or injured. You enter at your own risk. You enter a dog park without knowing if another dog is aggressive or has a trigger which can lead to a fight. A dog park gives a dog free will and a dog, even well behaved, can become agitated and snap without warning. Any place other than a dog park, by law, your dog must remain on a leash for your safety, your dog’s safety, and the safety of others. You have control of your dog when it’s leashed and you are responsible for your dog’s actions. A leashed dog is a safe dog. In sum, being a pet owner — simply enjoying a warm weather day — means being alert to the surroundings of your environment when walking your pets because there will always be those who disregard leash laws or codes. Remember to be respectful of other pet owners and ask yourself if having your dog off leash is worth the risk. Please comment and share your experience regarding doggone leash laws! Use the hashtags #leashlaw #conserveWW when you share this with your friends and family. 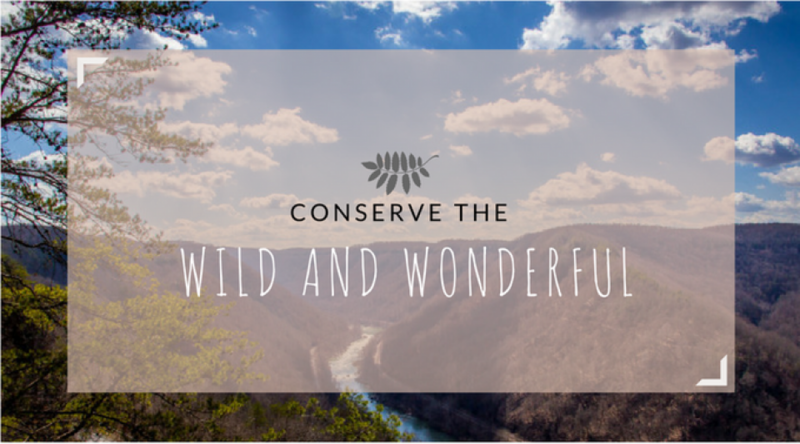 My name is Cayla R. Nolder and I’m a Writer/Editor for Conserve the Wild & Wonderful. I’ve broken up dog fights and I’m not a fan! Follow me on Twitter to get the latest Conserve the Wild and Wonderful updates @cayla_redlon.